Earlier this month Paypal and Samsung announced a new partnership to bring PayPal to Samsung Pay. Now PayPal has announced that it has started to roll out support for PayPal with Samsung Pay. Today, we have begun rolling out the ability for consumers to use PayPal within Samsung Pay and make purchases at the millions of retailers that accept Samsung Pay. 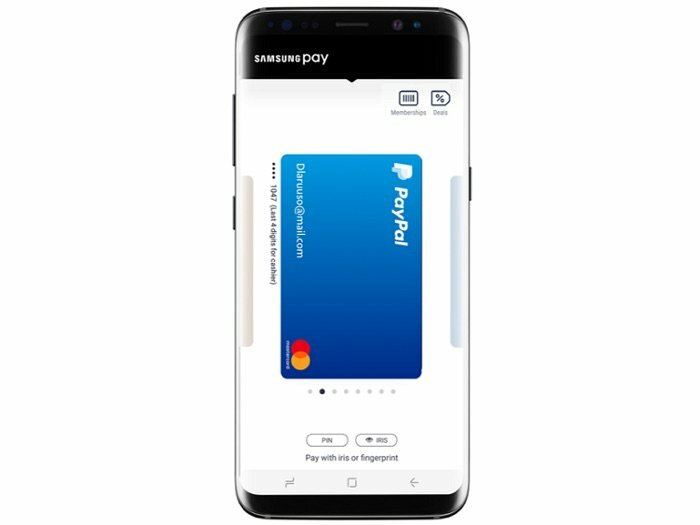 Samsung Pay users can load their PayPal account with the debit card or bank account found in their PayPal Wallet for use in-store – all while continuing to earn Samsung Rewards points. It’s convenient for consumers, because Samsung Pay works with both NFC and MST—that is, it works almost anywhere you can swipe or tap a card. You can find out more details about using your PayPal account with Samsung Pay over at PayPal at the link below.